You’ve probably heard something about “email deliverability.” Maybe you’ve even read that SparkPost has the leading inbox placement in the business. (It’s true.) That performance reflects our email delivery service’s technical capabilities—and the expertise of our email deliverability lab and team. If you’re a SparkPost customer, you have access to a wealth of data and analytics about your email performance. But what does that data actually mean? And how can email senders use these different approaches to evaluate the success of their efforts? We’re big believers in empirical data and tools that help email senders be as successful as they can be. This crash course is a great way to get started understanding email deliverability. 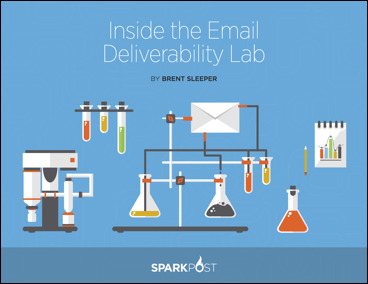 Download “Inside the Email Deliverability Lab” today!